Track A1 is an edit of Les Difficiles de Petion-Ville’s “Mesdames Yo”. 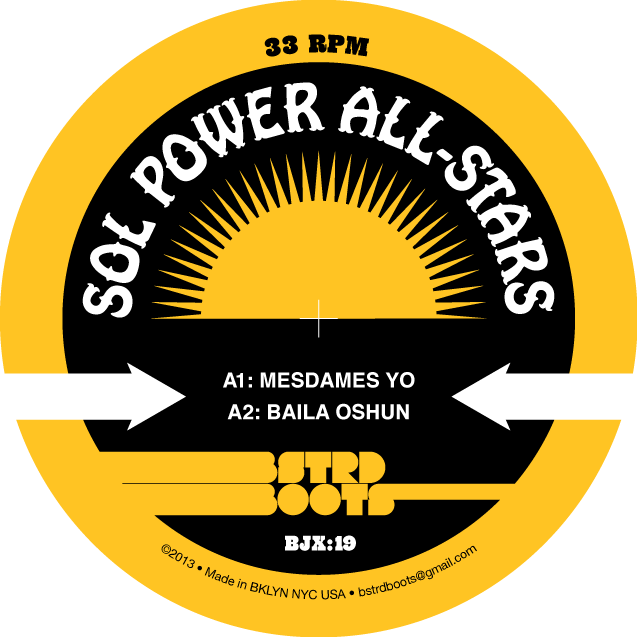 Track A2 is an edit of Les Hombres Calientes “Obini Baila Oshun”. Track B1 is an edit of Black Soul’s “Africa, Africa”. Track B2 is an edit of Hugh Masekela’s “Night In Tunisia”.